Is RewardIt a Scam? Read 6 Reviews! 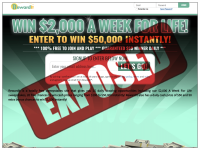 RewardIt Exposed — Free Cash Prizes! Are you looking for a free prize site to win cash? I’m not sure if this is the place. Rewardit.com offers free games to win prizes ranging from $50 to $50,000, some cash for life and instant games. There are some daily games including a $50 prize you might have to share with someone else. You might want to put the 31st of August into your calendar as it looks like most of the games don’t close until then. Rewardit.com is a place to play for cash prizes for free. There are 15 draws daily, 20 instant draws and a Pick 10 bonus game which you can play 50 times a day. All you have to do is register your email address and some personal data. The last time I did this, I ended up having my account swamped with spam emails. I think this is one of those times where the old adage ‘you don’t get anything for free’ applies. It has all the earmarks of an email data mining site. If you’re a “legal resident” of Australia, Canada, Ireland, New Zealand, South Africa, United Kingdom or the United States and 18 years or older, you can play RewardIt’s games. It’s funny in their terms and conditions, they underline that if you don’t reside in one of these countries you do not have “permission to use and/or access” their games. What Are the Prizes Offered by RewardIt? It appears there is a daily prize of $50. Players get multiple chances each day to enter each of the games. There is a heap of games to choose from though I after reading the rules and regulations multiple times, I can’t figure out if each draw takes place daily until there is a winner or the 31st of August 2019. This includes games with prizes ranging from $100 up to $50,000. It also includes their $2,000 a week cash for life. It also says that if there is more than one winner, any prize is split. Ah, there you have it. 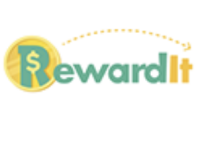 Rewardit.com is owned by Sharestakes, LLC – a company registered in New York State. Anyone who has been looking for free prize sites might have tripped across one of their other sites – Winloot, UWinIt and Prizeloot. Each of these offers different combinations of winning cash or other prizes. On their page, there is only an online form. In their terms and conditions, there is a snail mail address, several email addresses, and a phone number. Each of the competitions has their own rules and regulations though they do seem to follow the same layout. The only difference is some list who can’t play versus who can. It looks like you can enter all the games several times a day. Opting out seems fairly straightforward by sending an email. Players are notified by email if they win within 30 days of the draw. If there is more than one winner, players share the prize. One you’ve received an email, you have to forward back an Affidavit of Eligibility, Press Release and picture within 30 days. RewardIt.com also says that when winners are notified that they have won, there may be three options on how you get your prize – Amazon Gift Card, Check or by Paypal. You get to choose. Most of the complaints are about people who said they did not get their prize and rewardit.com won’t respond to their emails. Is RewardIt.com Scam or Legit? There are not enough complaints to suggest this site is not legit, at the same time the similarities between this and their other sites Winloot, UWinIt, and Prizeloot made me rethinking jumping on the bandwagon. The other thing is going in each day to play more games – who has that kind of time. I’d give this one a pass. Though it’s free, it has all the look that players will end up with a heap of spam. There is also the time involved in going in each day to play. RewardIt.com gets a thumbs down. It simply looks like some sort of advertising site to get your email address and possibly get you to review/look at stuff. I’m not going to touch it. Am an avid player at both Rewardit and Winloot; maybe missed 2 to 3 times playing in over 2 yrs. With Winloot have been on many finalist lists, eligible to win that day lists and constant verification emails. I’m tenacious, playing well, keeping the faith. I have been playing for a year now and nothing. Then always get emails saying I won. But then nothing crickets…..
Ben playing everyday n win NOTHING, waste of time. To too many ads keep popping up. Hello, my name is Nina Nwaobilo. I have been playing RewardIt for a while. The 1-15, 1-20, and 1-50. All I get are emails with free RBUK gifts which are actually points to add to the points that I earn from playing their games. At the end of all three games, I have to select gifts to Raffle and don’t anything in return. Is it worth my time playing games at RewardIt? I never did get what I won last month. If they’re not going to give you what you won then they need not be allowed on here. Pretty sad you win five dollars you can’t even get it. Didn’t receive my prize after many times trying to contact them they sent a promotion code to redeem my prize. When entering the code it said code was invalid. Tried for 3 hours to enter and got the same response.